A nutrition plan is supposed to be simple. I have said before that the easiest way to eat healthy is to eat the same few meals over and over. Especially when first starting out, you do not want to overcomplicate things by giving yourself 100 different food options to choose from. It is OK to introduce some new foods every once in a while but you will find that the more simple you make things, the easier it will be to stick to your plan. I try and introduce something new about every two weeks, but other than that my nutrition plan hasn’t changed much over the last few years. The reason for that is because it works! 1. Eggs. For a long time, eggs got a bad rap because people claimed that they raised cholesterol levels which could eventually lead to heart disease. But in multiple studies, researchers have found the opposite to be true. 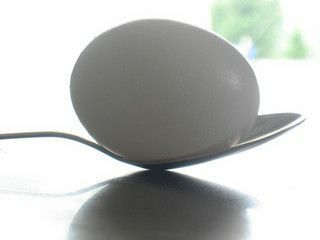 In a 1999 study (among other studies), researchers from the Harvard School of Public Health found that regular egg consumption could help prevent blood clots, stroke, and heart disease. Other studies have shown that eating eggs can actually lower cholesterol rather than higher it as some people have claimed. Another study showed that the group of participants that consumed eggs for breakfast rather than a bagel, saw 65% more weight loss and 16% reduction in fat loss! 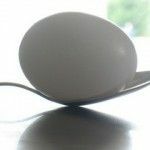 That statistic alone should convince you to start adding eggs into your diet. Eggs are the perfect meal upon waking up as they provide long lasting energy and promote fat burning and lean muscle growth. 2. Chicken. One of the best foods that you can find. Chicken is high in protein, low in fat and carbs, and is the perfect food to help add lean muscle while eliminating unwanted fat. A single chicken breast (around 4 ounces) can have up to 30 grams of protein while having nearly zero fat. Enough cannot be said about chicken and the benefits you will see from eating it regularly. Recommendation: Like purchasing eggs, try to find chicken that is organic, cage free and free range. Once again, it will be more expensive but the benefits will be worth it. 3. Spinach. Spinach is a super food, simple as that. Spinach has so many great benefits including its great antioxidant levels, vitamin A and K profile, will strengthen bones, will help burn fat, and more. Studies have also shown that it may help reduce the risk of cancer. 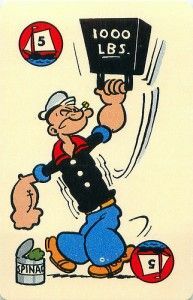 So although you may not build tons of muscle from it like Popeye did, it is still worth adding in to your daily nutrition plan. Plus, you will see improved blood sugar and insulin control, healthier bones, teeth, hair, and skin, and much more. Recommendation: When purchasing coconut oil, stick with unrefined organic virgin coconut oil! P.S. Like this post? Be sure to hit the ‘Like’ button before leaving! It is always appreciated. Photo Credit (CC): andertoons and Steve A Johnson.